"Have been a patient for over a year and have consistently an excellent experience." "Excellent service by Dr. Schneider and staff. My wife and I have been patients for years"
"Everyone is very friendly, warm, professional, courteous and funny!" "I have been coming here for almost 10 years. I have always found the office professional"
"Very friendly staff, very professional, I would highly recommend!" "Dr. Bill is the best dentist out there. Totally recommend him. " William M. Schneider, DDS, in Walnut Creek, Northern California, is an expert with over 25 years of professional experience specializing in general dentistry. Dr. Schneider completed his undergraduate degree at the University of Arizona in 1985 and received his medical degree at the University of Minnesota in 1989. To complement his studies, Dr. Schneider completed his Advanced Education in General Dentistry (AEGD) program at the University of San Francisco in 1990. After finishing the AEGD program, Dr. Schneider remained in Northern California to start his own dental practice in Walnut Creek. He and his staff are committed to offering patients comprehensive and expert dental care to address all issues relating to cavities, gum disease and decay, cosmetic imperfections, and sleep apnea. 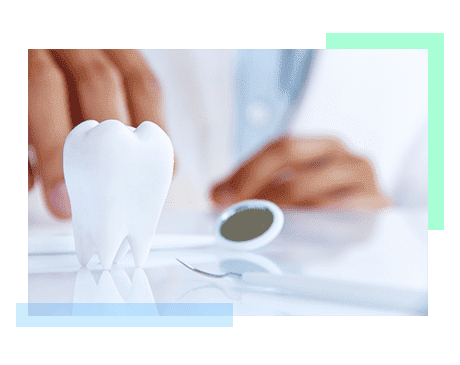 Since Dr. Schneider has made such a concerted effort stay up-to-date on the best dental care practices, he spends the time necessary to explain in detail what the issues at hand involve. He never wants a patient to leave his office with questions or uncertainties. Through a compassionate and empathetic approach to dentistry, Dr. Schneider can help you get high-quality results in an expedient fashion and with as little inconveniences as possible. Chipped tooth? Gap between your teeth? Embarrassing stains that don’t respond to whitening? There’s no need for concern. Read on to learn how veneers can correct those flaws and give you back that smile you haven’t shared with others lately. Replacing lost teeth is important in maintaining your ability to eat and speak. Dentures have been the solution for hundreds of years, but there’s a better way. Dental implants permanently replace missing teeth better than any other method. "Been coming here for 16 years and I wouldn’t dream of going anywhere else. Friendly staff and great care"
"Everyone is great! I have grown up coming here and now bring my family! They are friendly and professional!" "All of my encounters with Dr Schneider and his Staff have been conducted with the utmost efficiency and professionalism. " "Extremely pleased with his staff and the attention to detail the doctor had in making my crown. I will use him in the future for all my dental needs." "My husband had a dental emergency and Dr Schneider’s office was able to fit him in within 90 minutes. Thanks for being there!" "Dr. Schneider is truthful and friendly and I always feel comfortable even though I really dislike going to the dentist."